When you wake up after a wild night and you do not feel that well, you have got a hangover. Thankfully, though, you do not have to suffer the consequences of consuming too many drinks for long. Just eat one of these seven great foods and you will be feeling better in no time. Alcohol depletes your natural electrolytes. That is why you feel so horrible when you are hungover. Eat foods like bananas, kiwi, and spinach to help get those electrolytes back. You can simply eat a banana if that is all you are up for, or mix these three items into a blender with some Greek yogurt. Eggs are full of amino acids that help promote liver function and chase away the headache-causing chemical that remains as your body processes the alcohol. Have them scrambled, and add some vegetables to it (like spinach) to get an extra dose of antioxidants. Avocados have all the nutrients you need to kick your hangover to the curb. This superfood is a bonanza of vitamin B6, fiber, good fat, and carotenoids. Cut it up with some tomatoes, which are full of anti-inflammatory lycopene as well as liver-boosting vitamin C, and you will be feeling fabulous fast. Homemade chicken soup is not just an amazing cure for your cold. It is also perfect for curing your hangover. For those that do not eat meat, or if you simply do not feel up to chunks of chicken, choose miso soup. The broth is incredibly hydrating plus miso helps with digestion. Keep it simple with heart-healthy whole grain toast or even 100% whole wheat crackers. These simple carbs help restore your blood sugar without further turning your stomach. Add raw, organic, unprocessed honey on top and it will help your body expunge the alcohol. 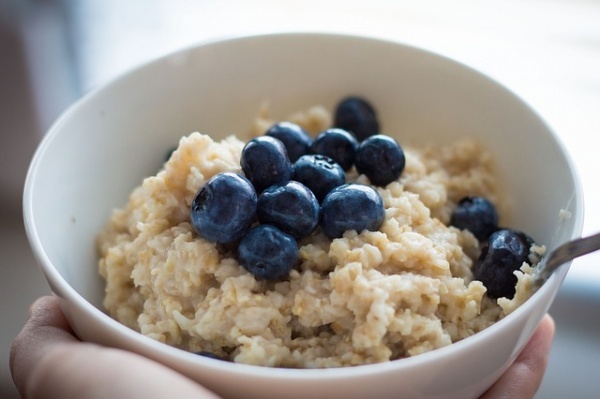 One bowl of oatmeal has all the nutrients you need after a night of drinking. There are B vitamins, magnesium, calcium, and iron. It will give you an immediate replenishment of energy so you can get back to feeling normal. Beans are full of fiber as well as magnesium, a great combination when curing a hangover. If you are going to do drive-thru, pop by Taco Bell and get a bean burrito with guacamole to give your body a hangover-curing meal you can eat on the go. Besides eating the right things, rehydrating is essential too. Make sure you drink plenty of water, or even coconut water. Pickle juice is also a great cure, if you can handle the smell. If you are looking for comfort in a cup, try green tea, peppermint tea, or ginger tea. All three types of teas will help flush out the alcohol thanks to antioxidants. What have you eaten to feel better after a night of drinking?